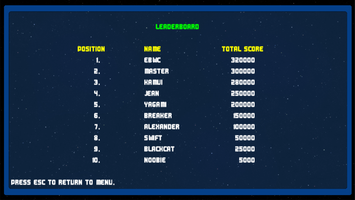 - Added score multiplier system. With a maximum multiplier of x20. Destroy the enemies quickly and don't get hit to keep the multiplier high. 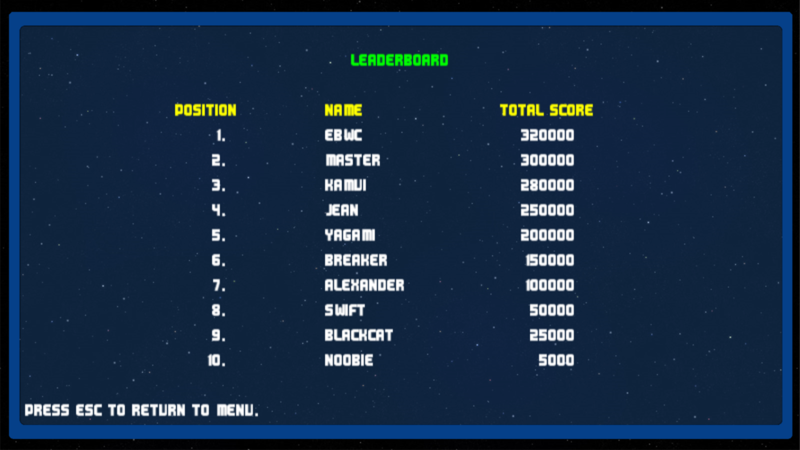 - Added a leaderboard. You can now enter your name after you finish the game. Try to beat the high score! 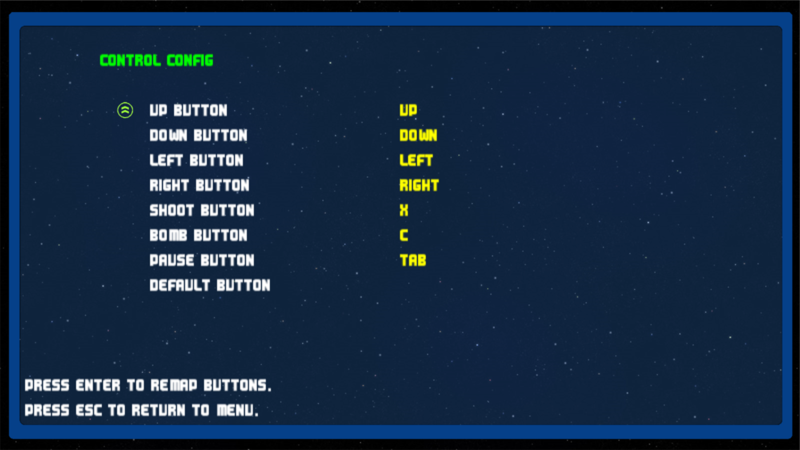 - Controls are not fixed anymore and can be remapped. However, it still only supports keyboard inputs. 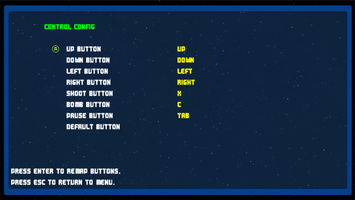 Some remapped buttons may not display correctly, although they are usable.